The number of skilled non-EU workers granted UK visas is capped - with the Home Office arguing the restriction is in "the national interest". It comes amid a row after visas for 100 Indian doctors were refused. The doctors had been recruited as part of a long-running scheme in the North West which supplies junior doctors to more than 30 NHS trusts. Bosses at the trusts have written to Health Secretary Jeremy Hunt and Home Secretary Amber Rudd asking them to urgently look into the problem. 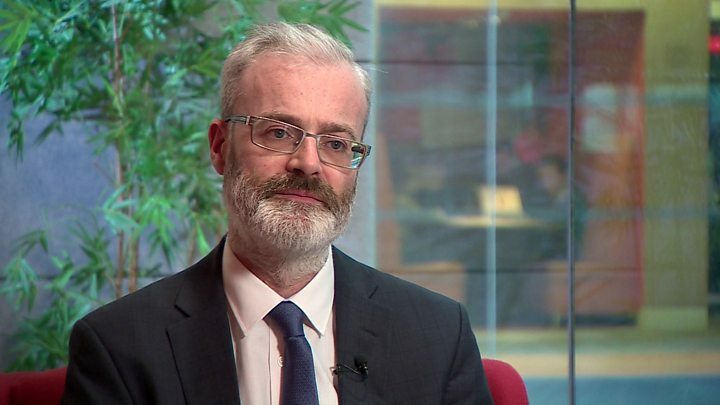 "As we reach the end of a winter where the NHS has been stretched to its very limits, partly as a result of a lack of medical workforce, we find it almost impossible to understand how this decision can have been reached," he said. He said these doctors would have worked across hospital services - and warned rotas would now go unfilled. "We have examples of clinics being cancelled and delays in terms of patients receiving care. "It exacerbates pressures in what are relatively small medical teams." Nurses have been placed on the shortage occupation list, which means they are given a priority in international recruitment. A Home Office spokeswoman said the system was in the "national interest". She said any Tier 2 applications - as they are known - which are refused in oversubscribed months could reapply in future ones. The GMC, which assesses the skills of non-EU doctors who want to work in the UK, said hundreds more overseas doctors were applying to them each year but then struggling to get visas. Charlie Massey, chief executive of the GMC, said: "It is frustrating that while one government department is working hard to recruit doctors into an overstretched health service, another is enforcing eligibility conditions which stifle those efforts."